Dr. Daftary is a second-year Resident in Radiology at Yale University Medical Center, New Haven, CT. He graduated from Dr. D.Y. Patil Medical College, Bombay University, India in 1998. Since then, he has completed a Nuclear Medicine Residency at Yale. He plans to begin a Fellowship in Musculoskeletal Imaging following completion of his residency. 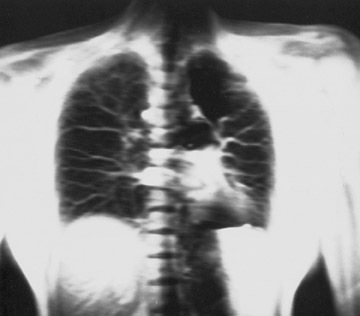 There are 2 major components of lung function, ventilation and perfusion, which are traditionally evaluated with a combination of chest radiography, computed tomography (CT), ventilation-perfusion scintigraphy (VQ), and spirometry. Magnetic resonance imaging (MRI) has been used for imaging both structure and function in many other parts of the body. 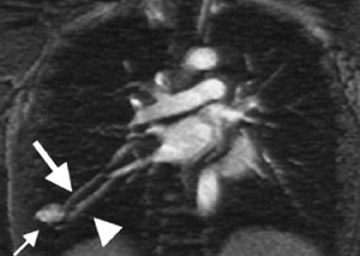 The purpose of this article is to review the technical aspects and briefly describe the role of pulmonary MRI in clinical imaging. 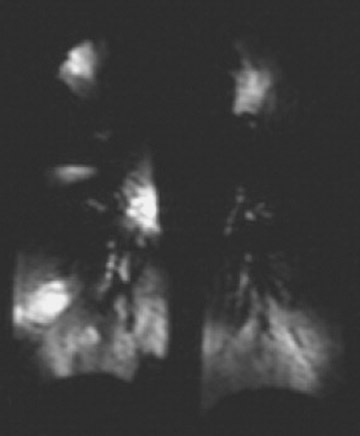 The growth of pulmonary MRI has been limited by at least 3 obstacles: 1) inflated normal lungs consist of approximately 20% water and 80% air, leading to low proton-density and MR signals; 2) macroscopic (cardiac and respiratory) and microscopic (blood perfusion and thermal diffusion) motion limits the resolution of images obtained by using longer conventional spin and gradient-echo sequences; and 3) the differing diamagnetic properties of air and water result in an inhomogeneous magnetic field. These latter 2 factors decrease the T2* to approximately 2 msec, and, collectively, all three make imaging challenging. Nevertheless, technical advances have largely overcome these obstacles. 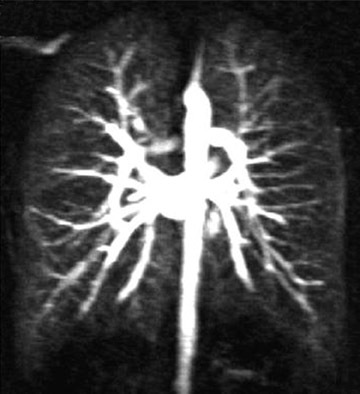 MRI techniques for pulmonary imaging include perfusion imaging, with and without contrast agents; structural vascular imaging with MR pulmonary angiography (MRA); time-of-flight (TOF) imaging; and ventilation imaging using hyperpolarized gases, oxygen or sulfur hexafluoride (SF 6 ). 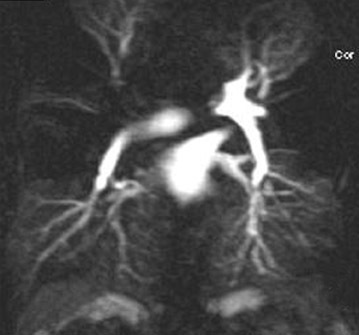 There are 2 major techniques for MR perfusion imaging: First-pass contrast agent techniques and arterial spin labeling (ASL) techniques. 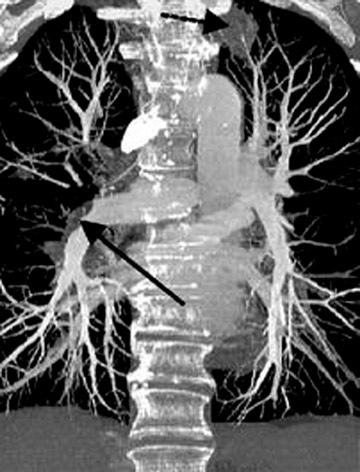 Spin-labeling techniques are inherently sensitive to changes in both perfusion as well as blood volume, and high-resolution perfusion maps of the lungs can be obtained. They obviate the need for exogenous contrast agent administration and have the advantage of providing perfusion quantification, because temporal image degradation seen with MRA is not seen. 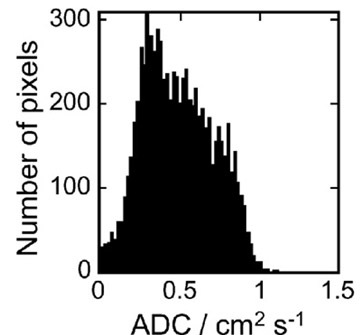 7 ASL perfusion maps, however, are not entirely accurate, as water molecules are labeled outside the imaging slice, and there is signal loss during the transit time between labeling and imaging. The signal loss cannot be accurately quantified due to different vascular paths, which vary transit times unpredictably. The MRA sequence should be a rapid T1-weighted sequence with small voxel size, which covers the vascular system under consideration. Three-dimensional gradient-recalled echo (GRE) sequences with rapid radiofrequency (RF) pulses are ideal for this. Short TR and TE sequences are used (TR <2 msec, TE <1 msec); however, it has not been possible to entirely implement this on existing clinical systems. Rapid imaging sequences allow for quick serial data acquisition, which can be used in perfusion imaging (Figure 1). K-space phase ordering methods have also improved image quality. Centric k-space ordering methods acquire essential data for image interpretation at the beginning of the acquisition as opposed to conventional methods, which place this data in the middle of the acquisition; thus reducing motion artifacts. 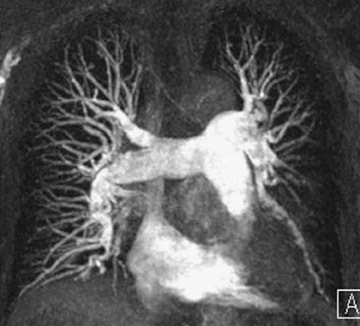 9 Gadolinium-enhanced pulmonary MRA provides excellent depiction of pulmonary perfusion, but results in venous enhancement that limits the use of this technique in assessing dynamic aspects of perfusion. 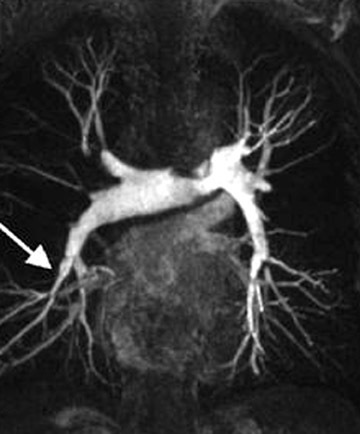 Two-dimensional and 3D TOF techniques have also been used to image pulmonary vasculature. 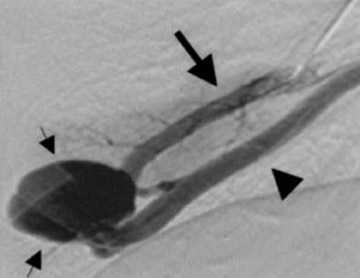 10 These methods depend on blood flow to produce contrast between vessels and surrounding tissues, and have been used to evaluate the vasculature (Figure 3). 10 The techniques are limited by longer than optimal TR and TE, which lead to increased image degradation from motion and air-tissue interfaces and are now seldom used. There are 4 approaches to hyperpolarized gas imaging: static, dynamic, diffusion, and intrapulmonary oxygen (O 2 ) imaging. Diffusion imaging- Hyperpolarized gases, particularly He-3, have a diffusion coefficient larger than water and have displacements of up to a few millimeters in unrestricted spaces during the TE used in gradient-echo sequences for lung imaging. 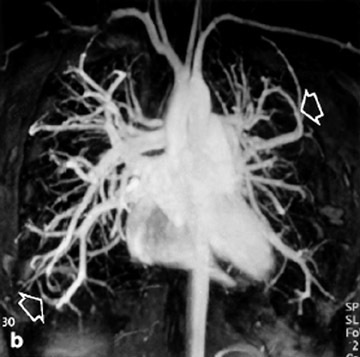 In more confined distal airways, displacements are smaller, resulting in a lower apparent diffusion coefficient (ADC) measured by MRI. 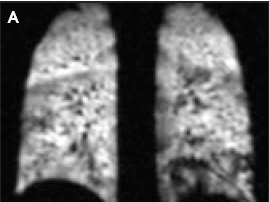 Normal lungs show relatively uniform diffusion values with a low mean ADC, while patients with emphysema have increased and inhomogeneous ADC values. 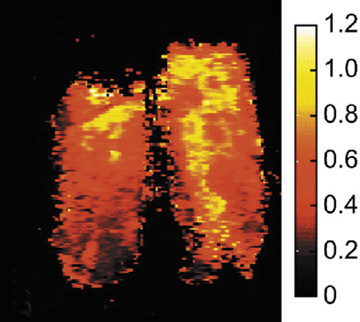 19 Diffusion imaging provides us with the opportunity to indirectly study lung microstructure (Figure 7). Sulfur hexafluoride (SF 6 ) has low blood solubility and high density and has been used to study gas distribution in the lung. 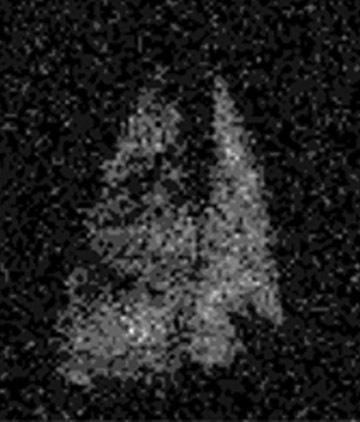 The most abundant isotope of fluorine ( 19 F), 25 SF 6 has a spin of - 1 ⁄2 and is seen with MRI: SF 6 can be imaged at equilibrium with repeated RF pulses. 25 This method has not been used in humans as yet (Figure 9). 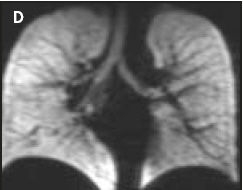 The techniques for pulmonary MRI are summarized in Figure 10. 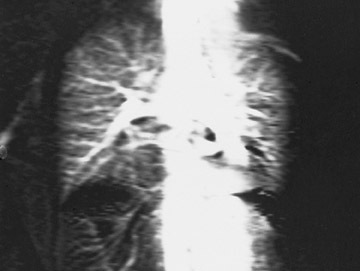 Chronic rejection of lung transplants is manifested by bronchiolitis obliterans, a slow process that may be asymptomatic and undetected by CT. 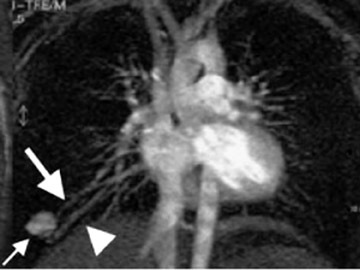 Ventilation studies using hyperpolarized gas MRI have shown multiple filling defects in these patients and performed better than ventilation perfusion scintigraphy. 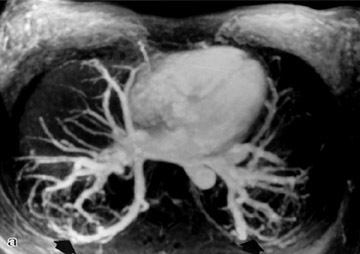 36 Early detection of this process may facilitate prompt treatment and prolonged transplant survival. 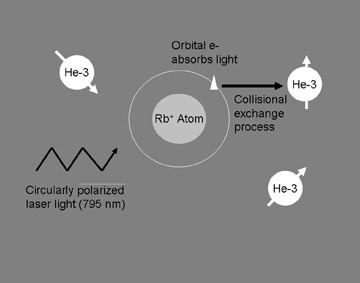 Studies with dynamic imaging of hyperpolarized gases have shown that functional ventilation can be directly assessed. There is rapid wash-in, wash-out, and uniform distribution of the gas in healthy subjects. 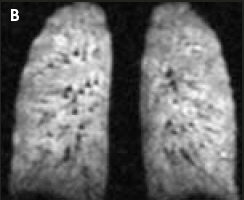 Smokers with centrilobular emphysema show nonuniform distribution of the gas initially, which becomes uniform with rebreathing and shows air trapping in abnormal areas during expiration wash-out. 17 This overcomes the limitation of static imaging, which is unable to detect air trapping. Dynamic imaging has also been used in the evaluation of cystic fibrosis, interstitial pulmonary fibrosis, and lung transplants (Figure 6). 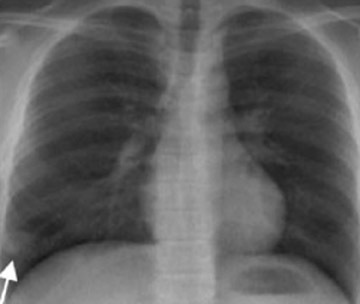 In the developing human lung, alveolar number remains stable from approximately 8 years of age, and subsequent lung growth is due to enlargement of the alveoli. Recent diffusion studies confirm this finding by showing an increase in mean ADCs of older patients, but no significant change in the air space variability. 39 Pulmonary diffusion imaging is a novel approach to imaging lung microstructure in vivo and may help detect developmental lung abnormalities. 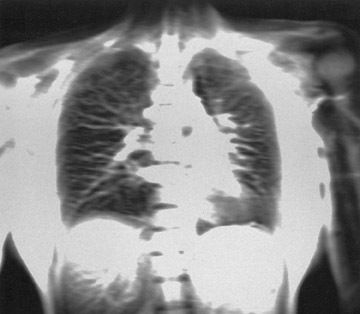 Novel imaging techniques have helped overcome obstacles to pulmonary MRI, and we now have reliable, reproducible methods for structural and functional imaging of the lungs. While MRI has been found to be extremely sensitive in early detection of ventilation changes, the treatment implications of these findings are not completely understood, and this is likely to be the greatest obstacle to incorporating pulmonary MRI into clinical imaging. The author thanks Dr. Jeffrey Weinreb for his guidance in writing this paper. 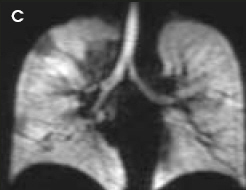 Structural and functional pulmonary magnetic resonance imaging. Appl Radiol.